For thousands of years, Shabbat has enriched the lives of Jewish individuals, families and communities around the world, bringing meaning and context to the week that was and renewed excitement for the week to come. 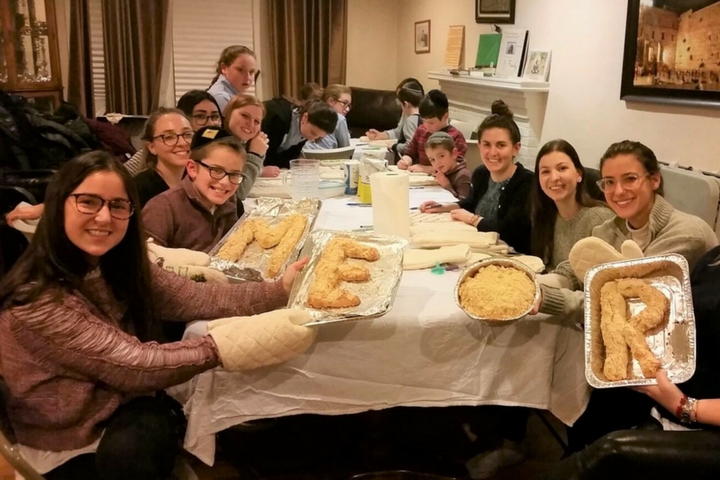 Every week, each MEOR campus organizes a unique and inviting Shabbat experience – a delicious home-cooked meal complete with great company, singing and lively discussion. Students only need to register in advance to participate. All students are welcome. 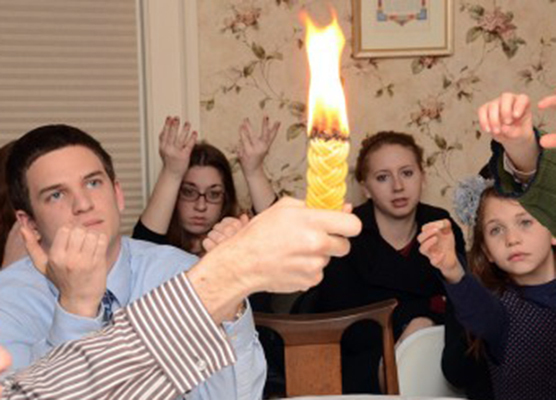 Each MEOR campus has a unique and inviting Shabbat experience happening on campus every week. When you arrive, expect to be warmly invited in whether you have been coming for weeks or are brand new to the festivities. A delicious home-cooked meal will be waiting, along with lots of students and friends to meet. After the traditional Kiddush is said, you will be invited to wash your hands and have some yummy challah to start off the meal – and probably chicken soup, too! From then on, just sit back, relax, and enjoy the lively and fun conversation at the Shabbat table with your fellow classmates and MEOR staff. I've had very few Shabbat meals that were as warm, lively, and inspiring as the ones hosted at the Maimonides apartment nearly every week. There's nothing like taking a few hours on a Friday night, Saturday afternoon, or both to spend time with friends who are on a similar Jewish journey, recharge spiritually and emotionally, and hear inspiring words of Torah designed to help us succeed both as college students and as Jews. Just yourself! And even a friend or two – no worries if you forgot to let us know in advance, MEOR homes are always open to new guests. 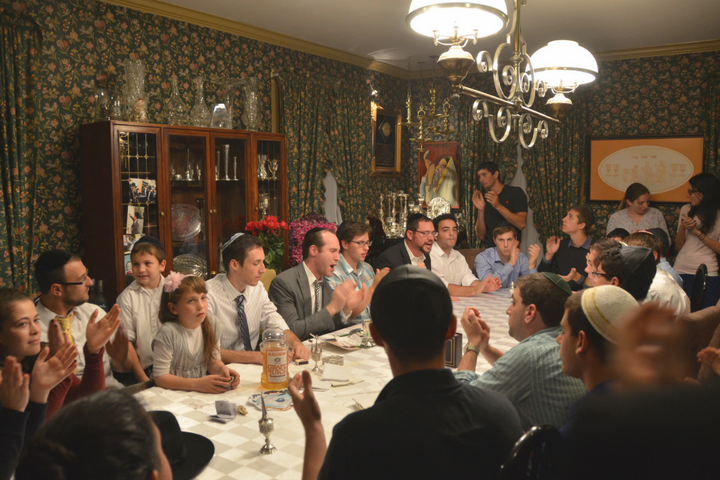 In general you can show up to any MEOR Shabbat meal, with or without prior notice. Some MEOR families do prefer to be notified in advance, so just check with your local campus Rabbi about that before the first time you come. Shabbat meals generally start about an hour or so after sun-down on Friday nights, and around noon on Saturdays. Check with your local campus MEOR staff for exact times each week. Most Shabbat meals tend to last around 1.5 – 2 hours, though sometimes students choose to stay longer to enjoy their time together. You can always come and go as you please, of course. Why should I come to a Shabbat meal? 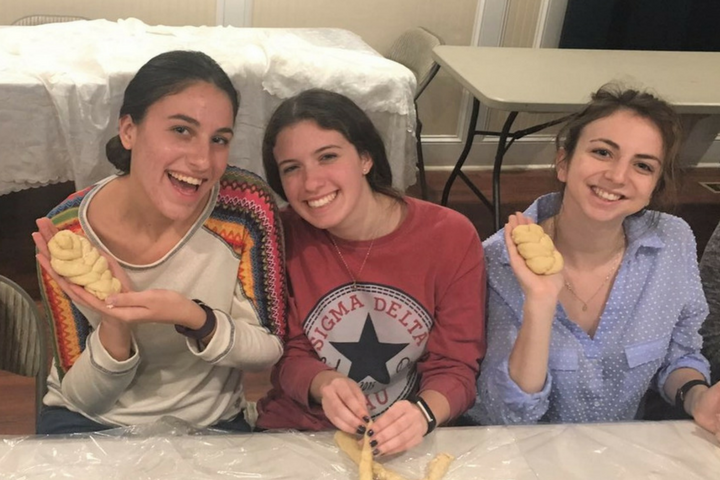 Shabbat is a time to get away from your often hectic and overwhelming campus obligations and relax with friends and good company. You will enter a small oasis in time and space where no deadlines are waiting, no homework is incomplete, and no tests are coming up. Just a welcoming atmosphere where you can think clearly for a time and discuss the things that really matter to you, or just take a break from it all. Try it out and you’ll see exactly what we mean. What if I don't keep Shabbat? 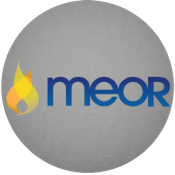 MEOR welcomes students from all backgrounds, affiliations, and levels of observance. You will feel welcome and comfortable no matter what. What if I don't know any Hebrew? No worries, we’re all just here to have an enjoyable time together, and no one is ever put on the spot. If you want to learn some of the song and blessing lyrics for yourself, MEOR staff is happy to help. Otherwise, just sit back and enjoy the experience. How can I make Challah?